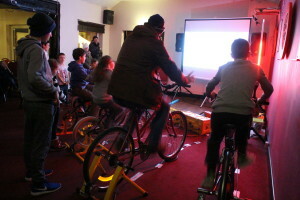 Want to get up and running with your pedal powered activity fast? Here are some full-packages we can provide. Here is our two-bike pedal power challenge. 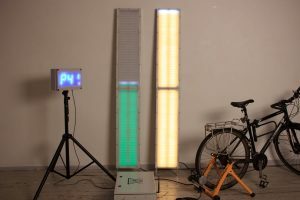 This comprises of two large LED bar graphs to show either power or energy. The challenge can be either a timed challenge, where the winner is the person who generates the most energy or the maximum power, or it can be a race to generate a certain amount of energy. This can be linked in to energy efficiency advice and gives the users an interactive way of feeling how much energy different devices use. V3 Power and Bespoke Gear were asked to provide pedal powered cinemas for both the Eastwood and Beeston Christmas Lights switch-on events. 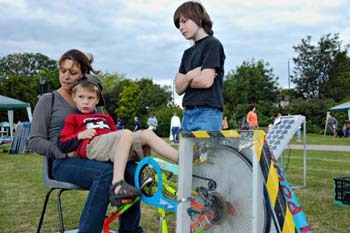 We provided a 6 and 12 bike pedal power systems and provided human-powered entertainment for the events. 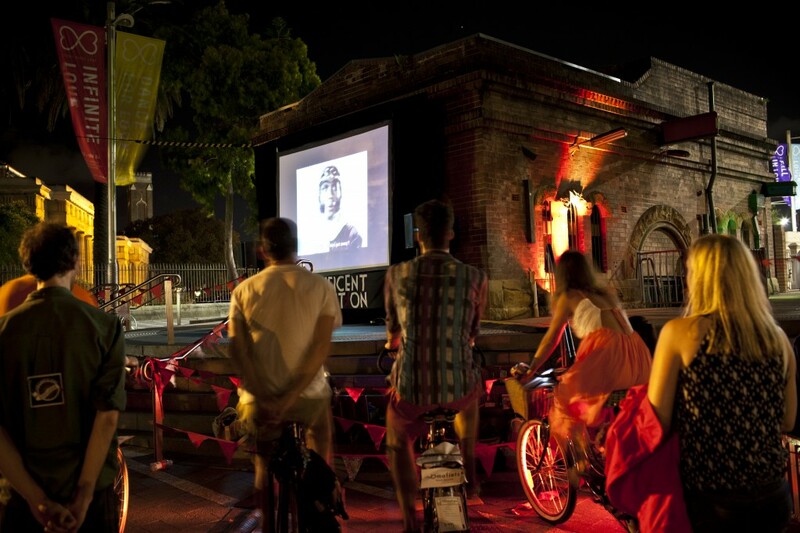 This included showing the Christmas classic ‘The Snowman’ a number of times. 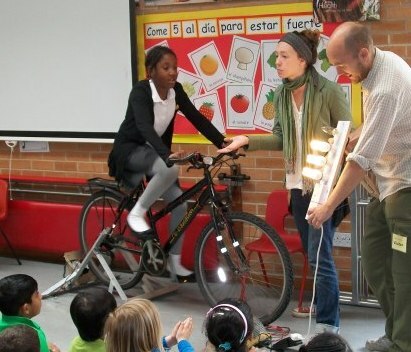 The Energy Bike is an educational tool to help explain the concepts of power and energy, along with the energy efficiency message. 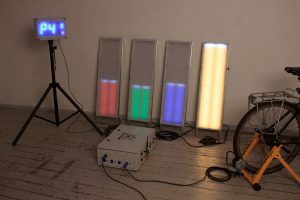 Notes and thoughts on pedal power, including motors and stand configurations.